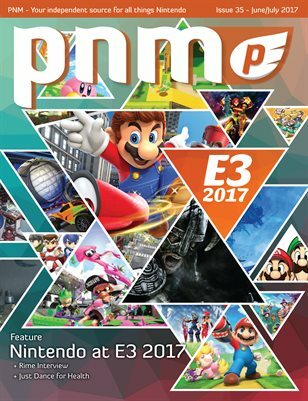 Issue 35 is all about the games Nintendo showcased at E3 2017! It’s Christmas in June for video game fans! There were a lot of exciting new games announced—my favorite being Metroid Prime 4 for the Switch (even though it was just a logo)! It was also nice to see a new Kirby game and also the new Yoshi game (both announced for the Switch). Matt and I were able to get hands-on with Super Mario Odyssey, Mario + Rabbids Kingdom Battle, Splatoon 2, Pokken Tournament DX, and much more. We also got a chance to interview the team behind Rime, which will be coming to the Switch later this year. Be sure to also read Trevor’s Just Dance for Health feature where he gives some tips on how to be more active while also having fun. As always, check out some cool concept art and all the latest reviews! Happy Gaming!